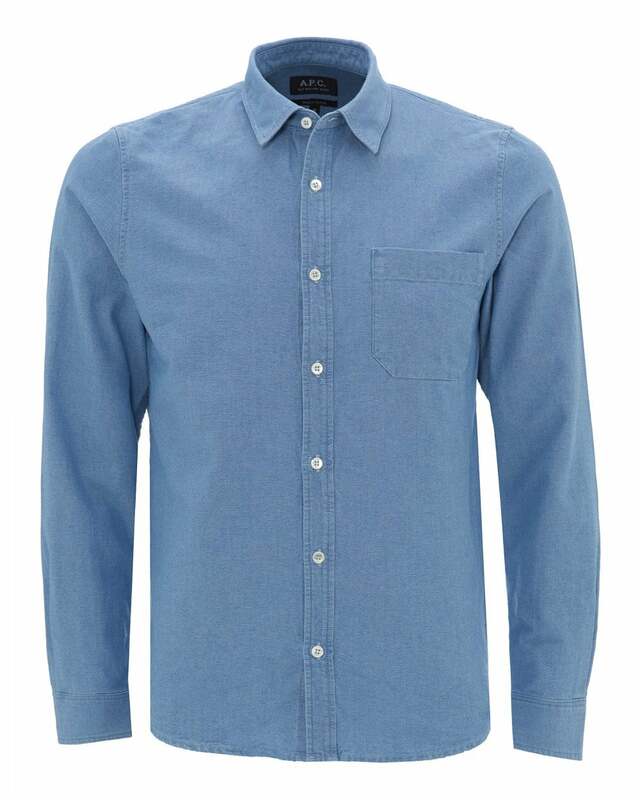 This Georges shirt by A.P.C. can be worn at most casual to smart casual occasions. Featuring contrast mother-of-pearl buttons, rounded hem, buttoned cuffs and a large chest pocket. Wear with beige chinos for the perfect complimentary outfit.